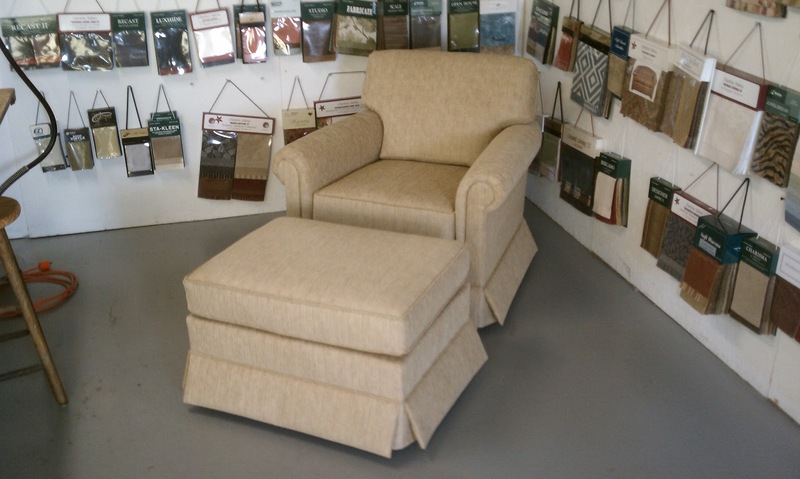 This older chair was reupholstered with a nice neutral chenille fabric. The springs were retied, the back pillow was built-up, a new seat cushion core was added and the kick-pleat skirt was self-lined with a stiffner to keep it looking great for years. We also made extra arm covers to help the customer keep it clean.